Fourth of July Foodie Fun! I hope you have enjoyed some great barbeque recipes and tips this week to help you get ready for this big BBQ weekend. 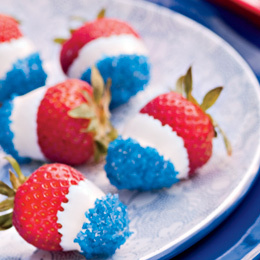 Since it is 4th of July weekend, I really wanted to bring you a cute patriotic dessert as my final recipe of the week. But to be honest with ya, I am on red, white, and blue overload! First up these Revolutionary Berries from Family Fun. This incredibly easy dessert has been ALL over the blogosphere the past few weeks. I first saw them here, then here, as well as here. They are probably my top pick for cutest and easiest! You will be the most popular person at the block party if you bring these! Want to impress your kiddos and cool them off at the same time? 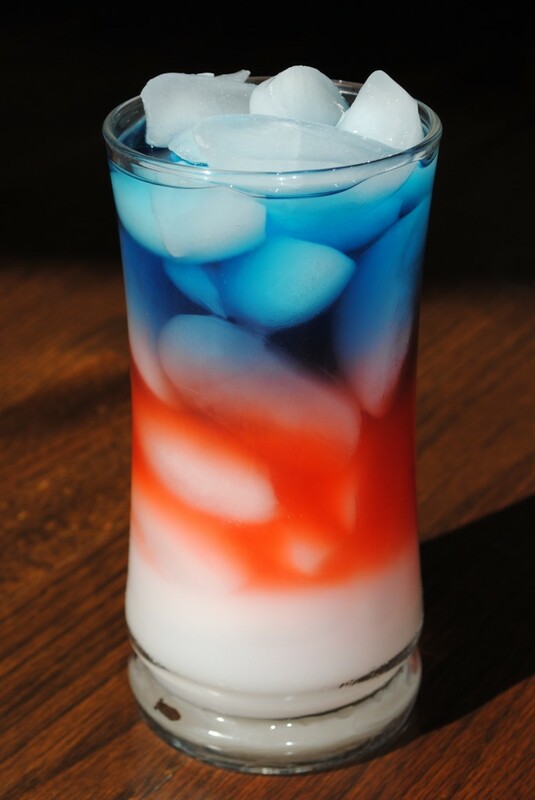 Make them this Patriotic Punch (Layered Drinks) from The Sisters Cafe. Your kids will thank you and think you are uber COOL (pun intended)! And nothin’ shows our Star Spangled freedom more than this cookie pizza from Pillsbury. (Want more cookie pizzas? Try this red, white and blue one drizzled in chocolate, or this American flag brownie pizza). 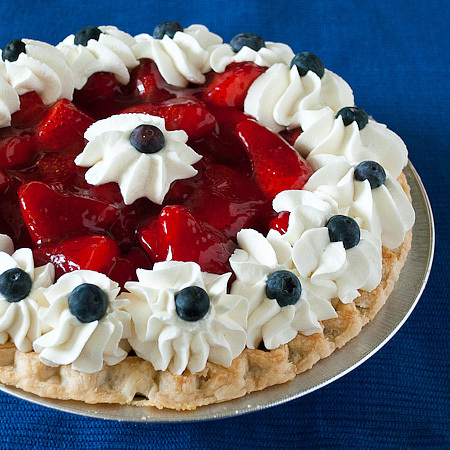 Not only are strawberries the perfect festive color for this holiday, they sure are tasty this time of year and make the perfect pie! Add some blueberries and some whipped cream and you have this beautiful Five Minute Patriotic Pie from Real Mom Kitchen! Now all I have to do is narrow it down and finally decide what I want to make! What patriotic treats are you making this weekend?? Disclosure: Pictures are from the websites and blogs listed above in conjunction with the photo. Please click on the link to see the full recipe and additional photos. So many fun ideas for the weekend! Thank you! Ah, thanks for featuring my toast!! Great round up!! Love your round up! 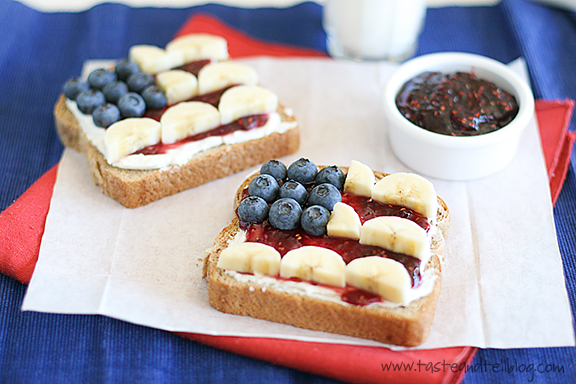 The 4th of July Toast is the cutest thing. I think I am going to make it for sure. In fact, I haven't eaten breakfast yet today, and I wish I had fresh blueberries and I would have it right now. 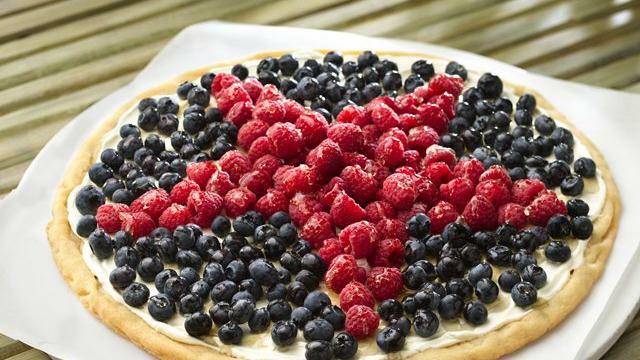 And patriotic fruit fruit pizza is genius! It's on my "to-make"list for sure. I'm glad you liked the strawberries and layered drinks! Your strawberries turned out great, too. I agree about them being so easy and yummy. Don't you just love making holiday food? Everything looks so cute! And yummy.